I have pinned this topic in order that newcomers to the forum have an understanding of what my Grading System is for boxes of cigars. When I post cigars in the 24/24 daily it will represent the top three grades. All I am doing is selecting cigars that I would buy if walking into any divan/bricks and mortar store in the world. No more, no less. For those who haven't seen it Check out this video as it will explain how I do it. While the vid is a few years old now, nothing has changed. There can be significant quality variance in any Mastercase of cigars (say a mastercase of Monte 4 with 52 boxes/1300 sticks). An average mastercase will provide the following quality breakup. A Below Average Box Code would be skewed to the left (few or no HQ/PSP, plenty of average/poor cigars). The problem is that even in a mastercase of the same box code it will change month to month or even Mastercase to Mastercase. ie. two mastercases of say TUP JUN 14 Monte 4 could be in the warehouse. 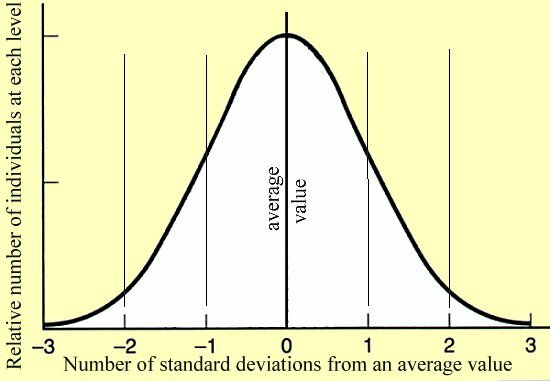 One follows the average bell curve and one is skewed to the right. Both the same code. It is only by going through a number of the mastercases of the same code over an extended period of time that you get a feel for that code. By all means when buying blind on the net, use codes as a guide. Generally a guide is all they are. The grading program takes away most of the risk of buying blind online (crap boxes). I am the only one who grades them here. As I have said before, if you had the opportunity to walk into a Divan/B&M and could open 20 boxes, then you would likely be wanting to spend your coin on a PSP/HQ/PE. There is no magic to the process. Good wrappers, good construction, good aroma at cold is all we wish to provide FOH members (the balance will find a home in wholesale). I will throw in my own smoking experience as I smoke current cigars (current shipment) 99% of the time. If I think something is outstanding I will say it (as we did with the 2013 Punch Punch/2012 R&J E4). If I don't like it....I will say it (much of the current Trinidad, R&J Short Churchill). It is just a simple "heads up". In the end I hope it proves useful. It certainly helps myself to keep abreast of what is currently/trending be it brilliant, great, good, average or crap.